Many very skilled and competent professionals find themselves unexpectedly in today's job market and are, ironically, very unprepared to swim in these new and uncharted waters. Lisa and her staff have mastered the art of repackaging your professional 'value proposition' and guiding you towards organizations that badly need that value. While I realize that making any investment in yourself might be difficult when you're not working, its clear to me that not making that investment in her services, only serves to short-change your career. I was very impressed with the quality and quantity of job search artifacts which were custom-tailored towards my target companies and dream job. Finally, what makes this all worthwhile is having a caring and compassionate team behind you every step of the way. If you find yourself in need of new career opportunities, look no further than Lisa Rangel. Lisa Rangel and her team of professionals did an excellent job helping me market myself to prospective employers and company partners. Shortly after her help, I received and accepted a partnership offer with a fortune 500 financial services firm. I’ve also referred her to my adult children when they were looking for a career move. I highly recommend Lisa and her team to anyone thinking of a career move. I was fortunate enough to attend one of Lisa Rangel’s webinars on how to create a branded resume, LinikedIn profile, and effective networking techniques. Using her team, coaching opportunities, and a strong positive attitude, 42 days later I landed the exact job I was searching for. Lisa’s team is, without question, one of the most professional teams I’ve had the pleasure to work with. I felt that they genuinely cared about my job search and were available during all my ups and downs. The process was very involved and detailed, but because of that, my resulting documentation was spot on. 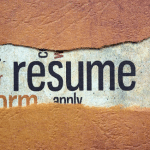 I had worked with Resume Writing firms in the past and I needed to do a bulk of the work. With Lisa and her team, I filled out a questionnaire, had some phone conversations, and BINGO… new resume, updated LinkedIn profile, and cover letters. But the best part… I got 1:1 coaching to help me through the entire job search process. My LinkedIn profile was so good, I saw a 70% profile view increase in the first week. I then noticed that my profile was found through LinkedIn searches had increased 110% over a three week period. If you’re conducting a job search or thinking about it… you MUST contact Lisa. Even if you just need some coaching or someone to review what you have, I can’t think of anyone else to use but Chameleon Resume Service. Lisa Rangel and the Team over at Chameleon did a great job updating my resume, coaching me on my interview skills, and educating me on modern job search techniques. The thing to know about Chameleon is that you don’t just get Lisa, you get an entire team of professionals who work for you. That being said, Lisa makes herself available should you ever want to reach out to her directly. Best investment I ever made. Chameleon provided me with a stellar resume. It’s all about your experience, and how you make it “sing” on paper. I’m now working with one of the top tech companies in the world. The resume helped me get in the door.